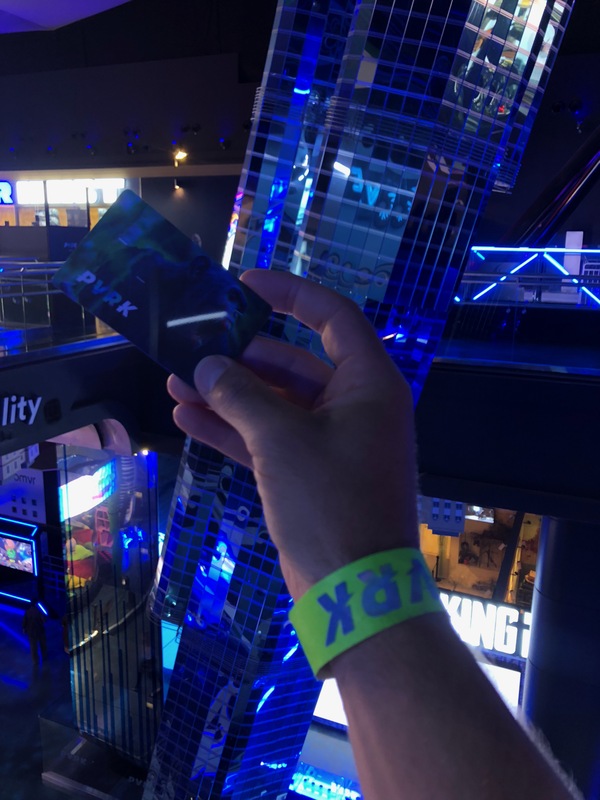 A new Virtual Reality ( PVRK ) park is now open in Dubai Mall. 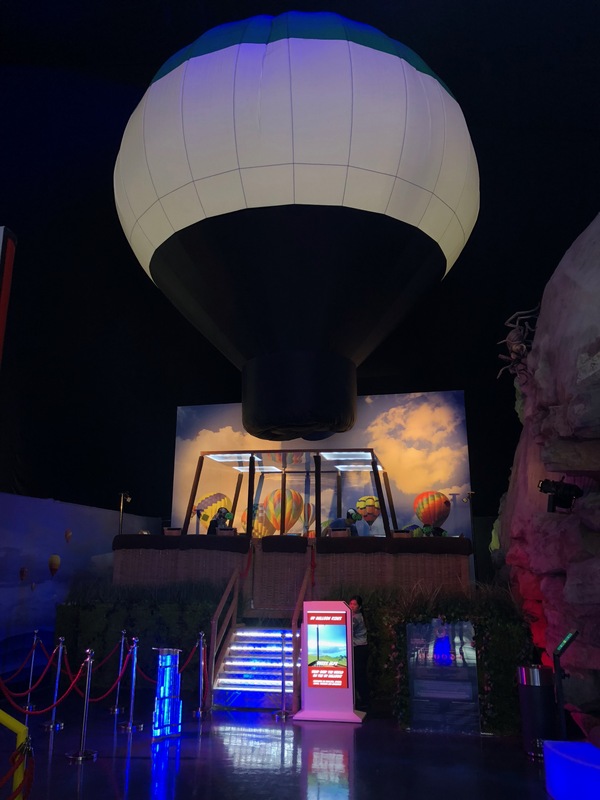 You can’t miss the entrance, evoking the Inception movie-themed bending streets of Dubai and surrounded by other popular attractions such as Kidzania, Haunted House or 22-screen Movie Theater. Unfortunately, the flashy entrance promises more than the actual theming inside delivers. I wasn’t impressed with the dark and non-descriptive space. Sure, the upside down Burj Khalifa definitely has the wow factor, but that’s about it. The attraction itself spreads across two levels using space of the recently re-branded Sega Republic “theme park”. Some of the original flat rides were kept in and just re-themed to fit with the new concept. You can “escape the reality” in more than 15 experiences which majority involves VR Headset. Here is the main issue…the quality of the graphic used is quite rudimentary, which ruins the sense of reality. It also smells a bit, some of the headsets are quite heavy, not comfortable to wear and dysfunctional. At least half of the rides were disappointing due to these failings. Also, some footage isn’t very well coordinated with the actual ride movement, which is most obvious on the Plummet attraction. Try to ride Dubai Drone, or Plummet without the headset! 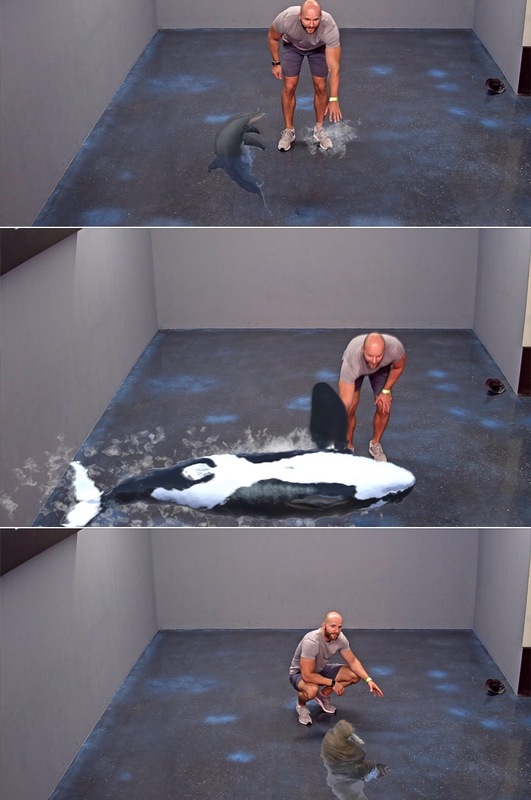 Terrible photomontage experience with animated animals & objects. You can choose from different themes ( dinosaurs, ocean, safari ) and somehow try to take photos with virtual “things”. The outcome isn’t very exciting…NEXT! This is quite an enjoyable drop tower ride, which feels much more dramatic thanks to the VR headset. Good fun cleaning Burj Khalifa facade and falling down! just some slow spinning “thing” for the little ones…including VR headset. Space shooting VR game while sitting in a moving seat. Good graphics, a bit long and no scoring system which makes the game pointless. 3D Floor projection of chosen theme ( shark attack etc. ), which was actually enjoyable. The floor screen is clear and hydraulic movement and effects work well with the film. You will be enclosed with three other people inside a moving box and watch the floor below you through 3D glasses. The Raft requires players to grab their VR guns and work together to defend the swamp against an infestation of supernatural creeps. One of the highlights of my visit. 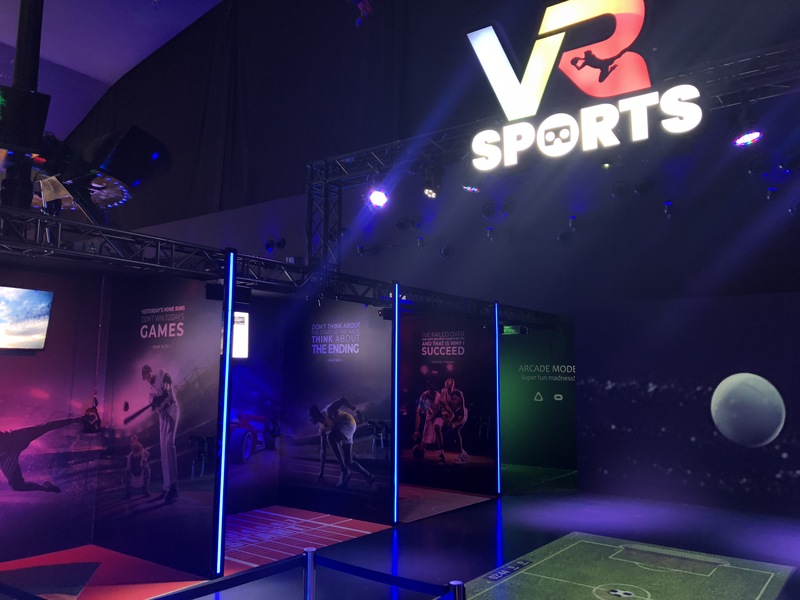 Clear VR experience and fun for four players. Equipment was very responsive and new. Survive a ride through the zombie-infested hospital. A scary zombie shooting action game. Not for the faint-hearted ( like me 🙂 ), You will be shooting the undead from a wheelchair while being pushed through dark, creepy sanatorium. Clear visuals, good sound, and scary fun all the way! VR Skydive experience. The footage doesn’t match the movement of the ride, so better enjoy without the headset. You will be spinning upside down on this rotating pendulum ride. Good fun! A bank robbery goes wrong. Just another shooting activity. You need to play in a team. These are two similar experiences involving VR headset to transport you into a movie theme. I have tried the Mummy theme and was shooting zombies ( or something ) from moving helicopter ( it didn’t look very Mummy-ish ). It would be fun if it didn’t make me dizzy. As you can guess, you will be transported in the air to watch the world below. A bit boring activity including VR Headset. Next Post: DUBAI : Visit World’s Biggest Frame ? Pingback: DUBAI : Visit World’s Biggest Frame ?